Join Baachu Scribble and start scribbling away winning proposals. Hurry! Few seats still available. Things that you’d probably want to know! This is an online self-paced course. Why are there specific course dates? Why can’t I begin when I want? Why only 15 members per batch? 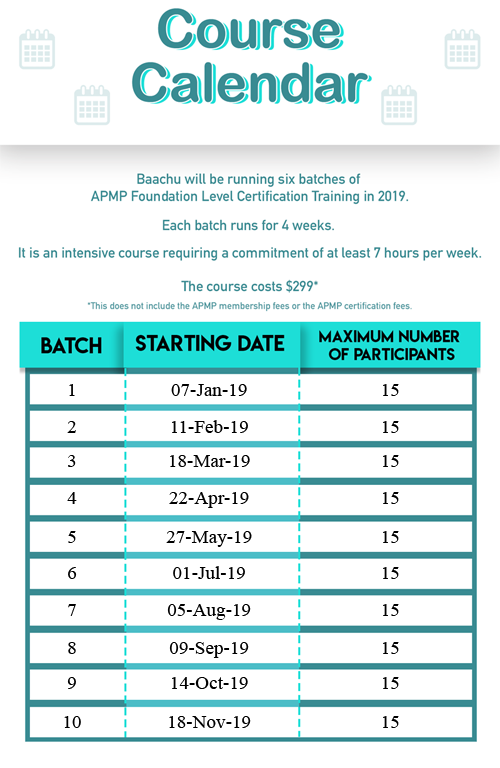 15 members is the maximum batch size of an APMP face-to-face group that we do, and it is a number that works well for group discussions and activities. What learning materials will be available to me? The course is organised into 31 chapters in all, spanning 5 units. You will get the video lectures for each chapter. Supporting these, you will also have two study documents – a detailed document and a concise summary. These will help you revise. Until what time do I have access to the study material? Forever. You can always login to the Scribble platform, even after you finish the course and go through the notes. You will receive emails enabling you to know what your immediate deadline is. This enables you to work towards easy weekly or even daily goals. For the slightly more extrovert amongst you, there is the online forum, where there is more support. There are several discussions which you can initiate and participate in order to mutually benefit each other. 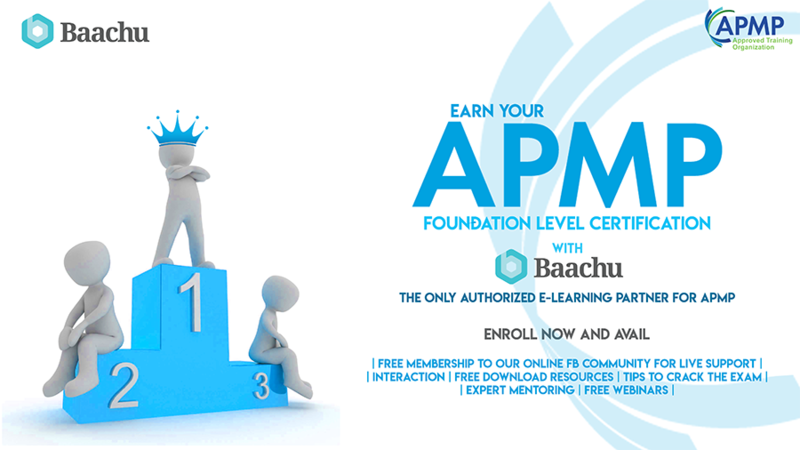 Hopefully, you can see the incredible value and extraordinary benefits Baachu’s APMP Foundation programme offers and are ready to say YES! Click the button below now to join us. OK, I am ready to secure my place!